Jaguar XE Interior, Sat Nav, Dashboard | What Car? There’s plenty of adjustment to the steering wheel, and the fact that the driver's seat is electrically adjustable makes it easy to tweak your driving position on the move. However, only the range-topping HSE trim lets you save your preferred seat settings and recall them at the touch of a button. The head-up display, which beams key information such as your speed and the next sat-nav direction onto the windscreen directly in front of you, is an option that’s worth considering. And the dashboard layout is easy to get the hang of, thanks to clearly labelled buttons that aren't too much of a stretch to reach. The XE’s windscreen pillars are no more obstructive than those of most rivals, and the door mirrors are a decent size. However, seeing out of the back isn’t so easy, due to a fairly shallow rear window, so it’s fortunate that parking sensors and a reversing camera are fitted as standard to all models. 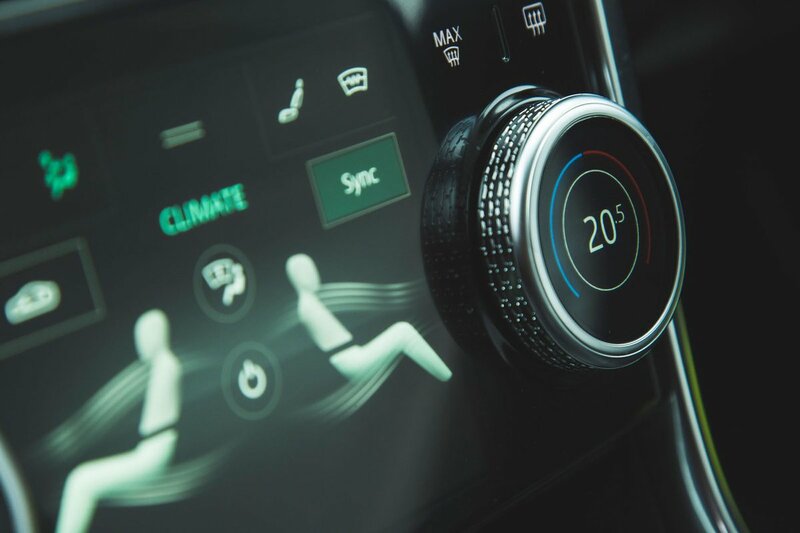 An automatic parking system (which automatically steers into a space for you) is also included if you go for SE or HSE spec, while options include a heated windscreen that will clear condensation and ice much faster than relying solely on the air vents. All XEs come with powerful LED headlights as standard for great visibility at night. These have an automatic high beam function, so you don't need to worry about dazzling other drivers. 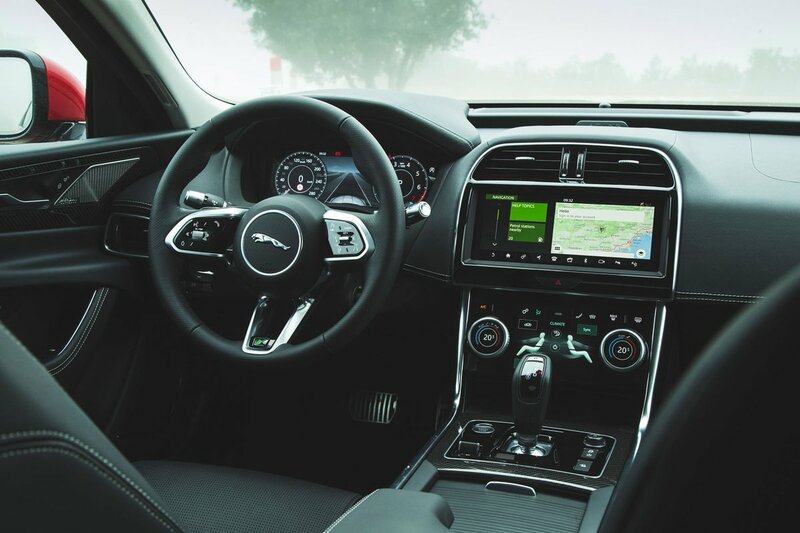 Every model is fitted with Jaguar’s 10.0in touchscreen infotainment system, which responds fairly quickly to commands most of the time. It's let down by some illogical menus, though, and uses lots of small icons that are fiddly to prod on the move. More positively, you get Apple CarPlay and Android Auto smartphone mirroring as standard on all versions of the XE, plus there’s wi-fi hotspot on mid-spec SE trim cars and above. Bluetooth connectivity is included across the range, as is a USB port, DAB radio and voice control. Meanwhile, the six-speaker sound system on lower-end trims is one of the better standard set-ups in the executive car class. The upgraded Meridian system fitted to HSE-spec XEs has 11 speakers and two subwoofers for outstanding sound quality, with an even more powerful 17-speaker surround-sound version available if you're prepared to pay extra. 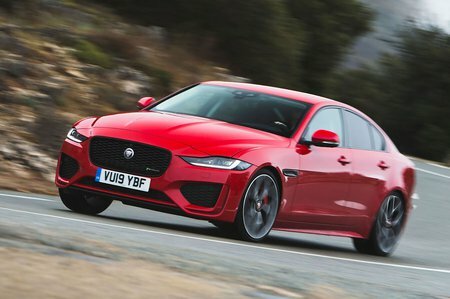 Interior quality isn’t something Jaguar has been renown for in recent years, and while the inside of the XE is generally okay, with soft-touch materials in key places, it’s far from outstanding. Things were improved during a mid-life facelift in 2019, but the plushness of the leather and how solidly the interior panels feel bolted together is still a long way behind a BMW 3 Series – let alone an Audi A4. The XE does edge the Alfa Romeo Giulia for interior quality, though.